Free Delivery in our local Essex delivery area. You choose the colour! A wonderful luxury large headed rose beautifully presented and delivered in a presentation box. 5% online discount. 5% discount when you order online! 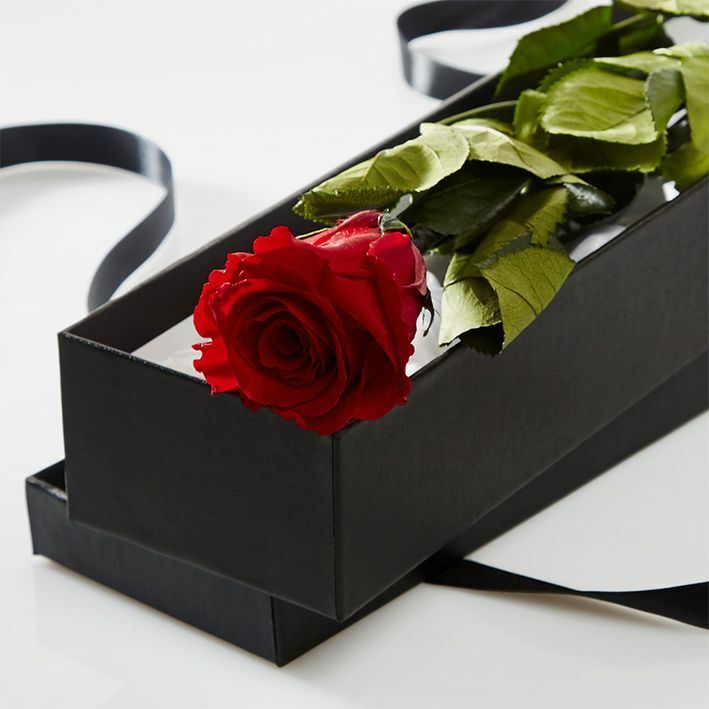 A wonderful luxury large headed rose and foliage with a gift message card presented beautifully and delivered in a romantic box This is a traditional romantic gesture to let someone know how much you care. You can even send with Chocolates, or a teddy bear. Design of vase is subject to availability and may change from that described.